Inspired by the most popular figure in 20th century jazz, Ottiu designed the Louis collection of furniture pieces. Renowned for his talent and charisma, Louis Armstrong was one of the first truly popular African-American entertainers to break the Hollywood stereotype. Part of the Century Collection, this stylish dining chair is hand-crafted with soft contours and a deep seat for maximum comfort. The balanced structure is supported by walnut legs adorned with Ottiu’s signature brass accents. 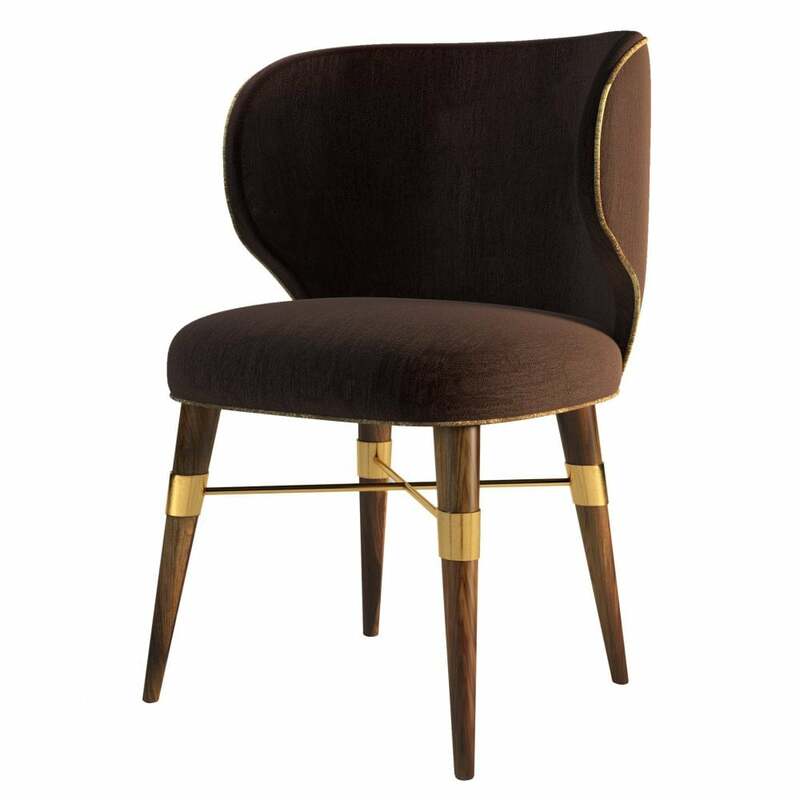 Upholstered in the finest cotton velvet, this mid-century modern dining chair will make the perfect addition to a contemporary dining space. Available in a range of fabric options, get in touch with our team for more advice and information.